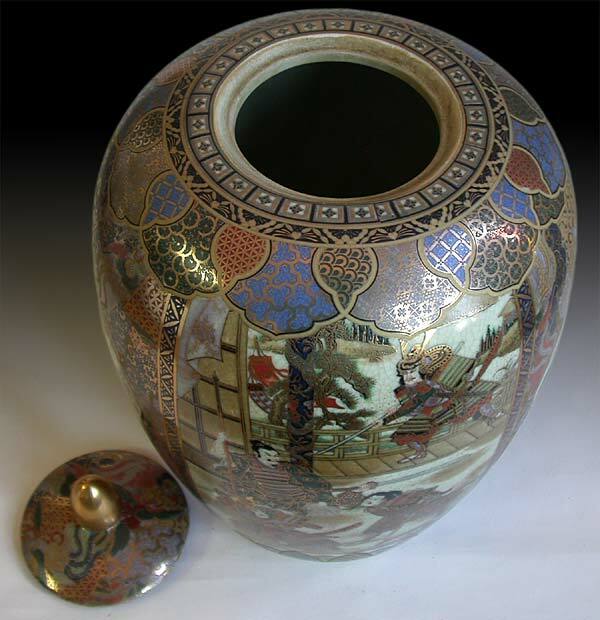 translucient glaze, extensive gold trim and finial. 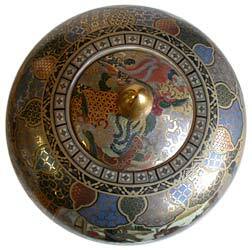 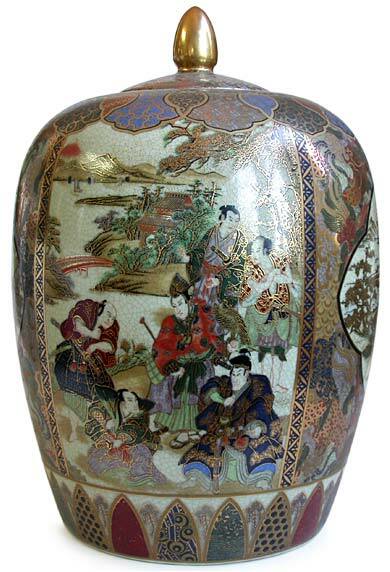 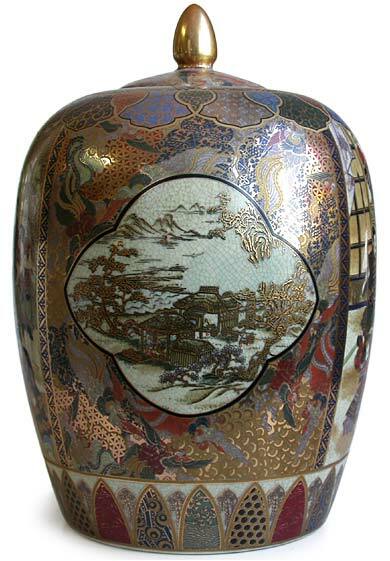 A fine elaborately glazed and gilded Satusuma jar. 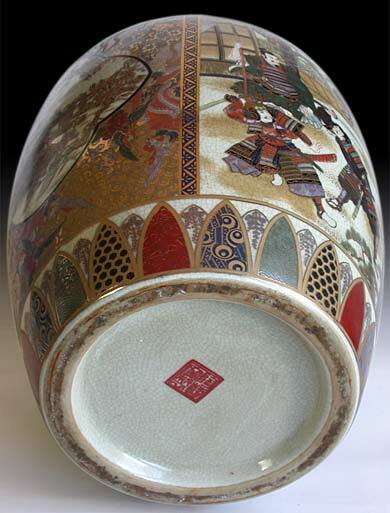 The province of Satusuma in Kuishu one of the Japanese islands, became known for fine wares beginning around the end of the 16th Century. 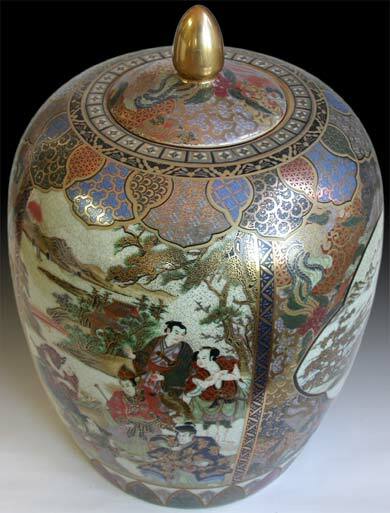 At that time Satsuma was a hard-glazed yellowish ware; however over time the term has come to be applied to various types of ornamented, enameled and gilded high fire pottery. 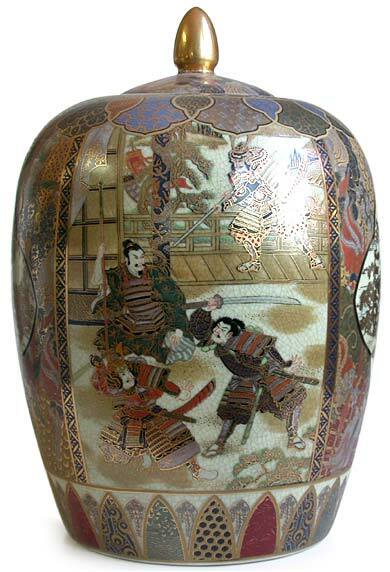 This fine example is completely decorated in rich colors with gold, depicting a landscape with pavilions and scenes of Samurai life, surrounded by ornate patterning and vivid coloration.